The Colorado Rockies’ late-game heroics continued on Tuesday night as they defeated the San Francisco Giants 6-2. The Rockies are now 76-62 on the season, and continue to hold on to first place in the National League West. The Giants were able to quickly add a run in the first inning of the ballgame as Gregor Blanco started the evening with a single to left field. Joe Panik then followed with a single of his own that allowed Blanco to scored, giving the Giants an early 1-0 lead. The Rockies got the run back in the bottom of the second inning, when outfielder David Dahl blasted a solo home run to right field in the opening at-bat. Besides the early run allowed by each respective pitcher, both starters were strong on the mound for their respective teams. 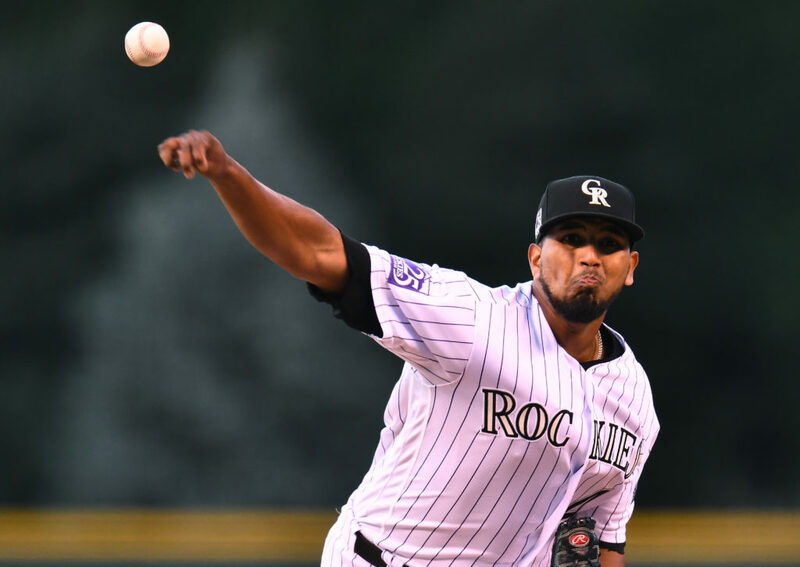 Rockies’ starter German Marquez limited the Giants to two runs on seven hits in 6.2 innings of work. Dereck Rodriguez, son of Hall-of-Fame catcher Ivan “Pudge” Rodriguez, worked six innings, allowing just one run on six hits for San Francisco. The Giants re-established a lead in the seventh inning when Gorkys Hernandez smacked a solo home run to left center field off of relief pitcher Chris Rusin, making the score 2-1. With their backs against the wall once again, the Rockies refused to quit in the bottom of the seventh inning. Down a run, youngster Ryan McMahon proceeded to crush an 0-1 slider into the seats in center field to tie the game at two runs apiece. Charlie Blackmon then reached base on an infield single, which was followed by a walk issued to LeMahieu. After the Giants opted to intentionally walk Nolan Arenado, veteran Carlos Gonzalez pulled a rabbit out of his hat by hitting a triple to deep center field, scoring three runs to give Colorado a 5-2 advantage. San Francisco then issued another intentional walk to Trevor Story before striking out Dahl. Ian Desmond followed with a walk to load the bases for Colorado. Rattled on the mound, Giants’ pitcher Sam Dyson issued a five pitch walk to Gerardo Parra, forcing home a run and extending the Rockies lead 6-2. Now with a lead, relief pitchers Adam Ottavino and Wade Davis locked down the 8th and 9th innings for the Rockies to solidify the victory. The win marked the 40th come-from-behind victory for Colorado this season. The Rockies and Giants will conclude their series Wednesday afternoon with first pitch set for 6:40 MST.